dzmedia The perfect steak in 1:20. Strip steakKosher saltButterGarlicRosemaryCast iron skilletHigh heatTwo minutes per side. Flip twice. 6-8 minutes total. 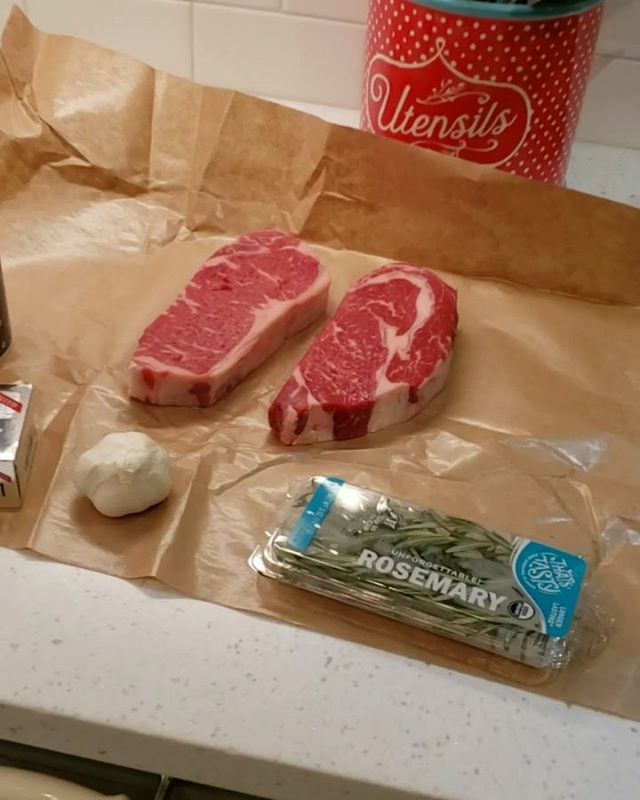 Add butter garlic rosemary after first flipBaste after every flip and after taking steaks off skillet. #steak #cooking #perfectsteak #yummymummies #castiron #instafood #cookingsteak #hungry #delicious | DZmedia dzmedia.com is a portfolio and blog site of Dmitry Zaltsman. By visiting dzmedia you will find images created by Dmitry Zaltsman of dz media and also be able for follow Dmitry'z blog that includes a feed from the dzmedia instagram account.